Today, we very carefully put on the Mom shoes. I usually refrain from speaking out about motherhood, since I am not a mother yet. However, I have real experiences from real mothers, so I’ve got some extra courage to plunge right into this very touchy topic! I think the very vocal Moms on social media have done a lot of harm for motherhood in general. We hear so much noise from them that we soon clump all the moms together and push their thoughts and feelings aside. The social media aspect of motherhood can become frustrating and even Moms would agree to that! But because of all this noise, I know that I tend to group every MOM into one category and turn off my ears to their chatter and eventually to the needs of their heart. However, Moms are individuals and Moms need care and love! I’m especially glad to be sharing this post, because the replies I received were from mothers who don’t broadcast their motherhood on social media. They are simply mothers who need friends just as we all do! They are people and without the noise, I could see the MOM and not that one loud group on social media. Let’s find the MOMS in our lives and love them so well that they feel like a person of value and worth. Let’s give to them and recognize all of what they give to their children. Let’s be true friends to the women who wear the very versatile, patched up, untied shoes! Here are what some women have to say about how a friend can love them well right in the midst of motherhood. maybe, it’s not about relating to them so much as it is about doing thoughtful things for them. Perhaps, it’s also understanding when it’s time to stay silent and give them space! A common misunderstanding I occasionally experience, is when a friend can’t understand why I might not be as available as they’d like me to be. Often this comes up when one asks me if they’ve “done something to offend me” perhaps because I haven’t called or written or popped by in a long time. In reality, my life is pretty consuming, and my unavailability is not personal. I just don’t spend any time on the phone with anyone, can’t get to the computer to type a quick note, and am always on my way home from errands with tired worn out children and it isn’t a great time to pop by. Not only should we pay attention to the Moms in our lives, but we should also notice their kids! A Mom loves her kids, therefore one of the best ways we can be her friend is to care about her kids individually and with a genuine heart! Again, this isn’t hard….we just have to do it! Let’s strive to love the Moms in our lives. Listen up, Moms…you don’t get off the hook on this one! 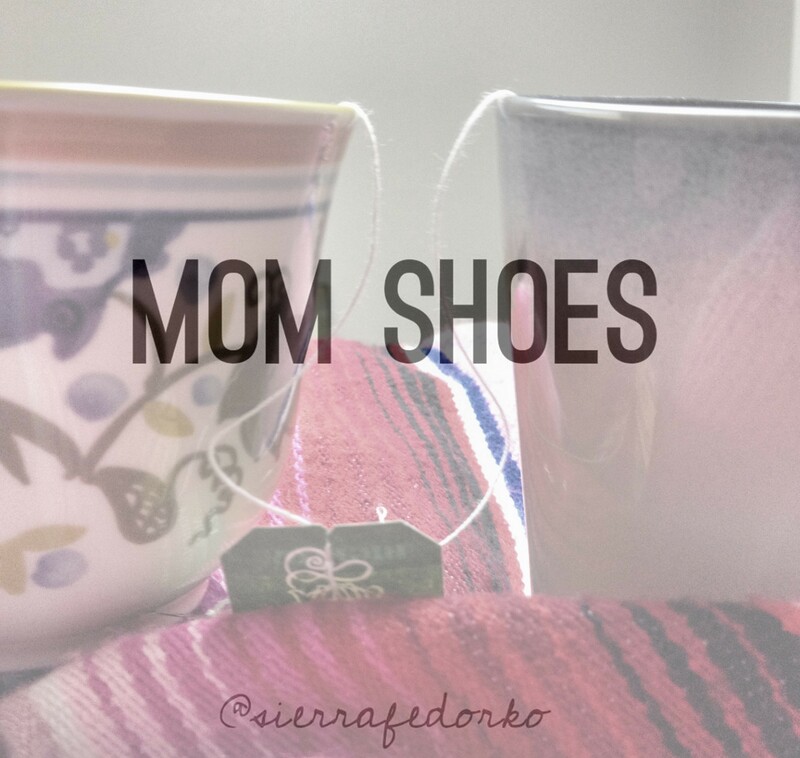 You are wearing the Mom shoes, so you know just how they feel! Even if there is a chasm in our lifestyles, I dearly want my friend to know that I know she too, is a woman who cares about her family. She too, is a woman that works hard. She too, wants the best for her children. I want her to know that I too, have kids that bicker. I too, have dishes piling high in my sink. I too, wear a grubby T-shirt and holey jeans as comfort clothing. I want her to know that at our core, we are the same. Love each other in these aforementioned ways, as well! Do small things for other Moms. Treat them how you would want to be treated. Learn to care about other kids, even as you love your own the dearest and the most. And then, show us how to love you well, and then let us love you! Don’t expect us to always relate to you or understand you completely, but don’t let that stop you from letting us be your friends! While we may not have first-hand experience as a Mom, we can still be a true friend to you… if you’ll let us become one.